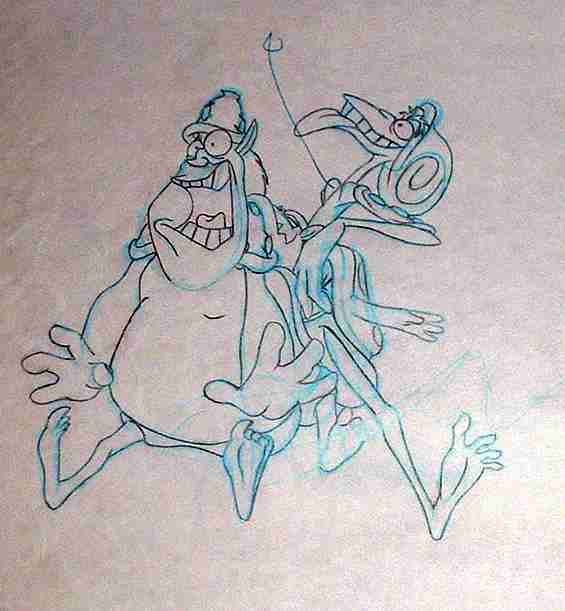 Pencilled drawings, sometimes coloured, created by a studio artist of an animated character or object from which the cels are later created. 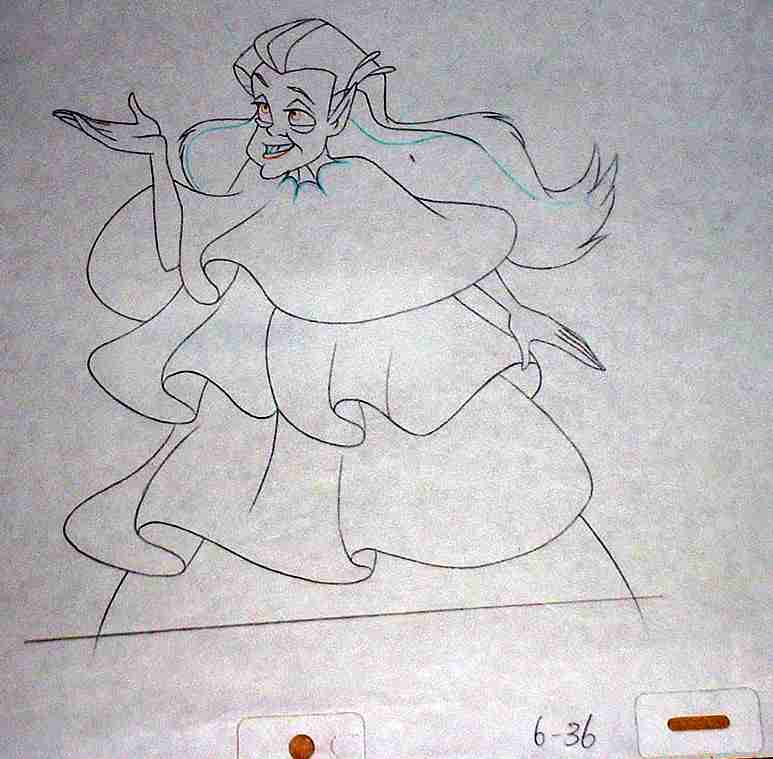 Basically the drawing is transferred to the surface of a celluloid (cel) either by hand-inking or xerography. The reverse side is then painted using guoache or acrylic paints. 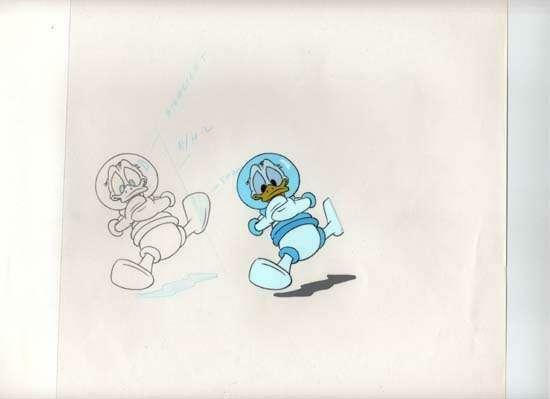 Once the cel is complete it may be combined with other cels for the camera shot. This page loads slowly so please be patient. There are hundreds of drawings that are not linked here but still available for sale so please inquire. The Batman/Tarzan Adventure Hour was a half hour show that aired in 1977-1978. In 1976 Filmation started a new Tarzan, Lord Of The Jungle cartoon series. The following year they coupled Batman with Tarzan as The Batman/Tarzan Adventure Hour, which mixed new Batman cartoons with new Tarzan cartoons. The third season changed again by keeping Batman and calling it Tarzan and the Super-7. The Batman/Tarzan Adventure Hour premiered on CBS in September, 1977 and was a Filmation Production. Popular television commercial figurehead, Captain Crunch premiered in 1963 and has been going strong since. Environmentally friendly animated film with a strong message. Zak (voiced by Christian Slater) is a heavy-machine operator whose job is to push over any vegetation in his path. He's shrunken to wee size however when Crysta (Samantha Mathis), a fairy of the forest, wants him to see the results of his handiwork. Zak sees the beauty and magic of Ferngully and vows to save it, but it may be too late. They end up battling Hexxus, an evil force imprisoned in a tree, which now wants to destroy all of Ferngully. Robin Williams offers genuine comic relief as a bat named Batty Koda.. Produced by William Hanna and Joseph Barbera, The Flintstones burst onto the screen in 1960 as the first animated situation comedy shown in primetime television and ran for six seasons. The final episode aired on April 01, 1966 though the series continued to have a strong afterlife in syndication and has been around in one form or another ever since. Patterned after Jackie Gleason's The HONEYMOONERS, The Flintstones were designed as a program for the entire family and did not appear as "children's television" until its rebroadcast by NBC in 1967. Since that time, the Flintstones have been the subject of three feature films and countless spin-offs and specials, not to mention years of product endorsement including such sponsors as Alka-Seltzer, One-A-Day Vitamins, and Post Cereals. In 1941 Forrest Mars goes into business with Bruce Murrie, president of the Hershey Chocolate Company and M&M Ltd is born. M&M's popularized the practice of product placement with E.T. The Extra Terrestrial's fondness for M&M's, and the practice has steamrollered since. In 1981, M&M'S Chocolate Candies were chosen by the first space shuttle astronauts to be included in their food supply. M&M'S Chocolate Candies are now on permanent display at the space food exhibit of the National Air & Space Museum in Washington D.C.
CHARLES M. SCHULZ created and began drawing "Peanuts" in 1950, and the comic strip went on to become perhaps the most famous and enduring in history. The adventures of Charlie Brown, his dog Snoopy, and their friends is one of the most popular comic strips in history, appearing in more than 2,000 newspapers and translated into more than two dozen languages. Schulz received many awards and honors for his work, including the prestigious Reuben Award given by the National Cartoonists Society in 1955 and 1964. Schulz continued to draw the daily strip until just before his death in 2000. -All drawings are sized: 10.5 x 12.5"
The PINK PANTHER first appeared in 1963 when director Blake Edwards needed an animated opening sequence for his film "The Pink Panther". He assigned the newly formed DePatie-Freleng (headed by Looney Toons director Friz Freleng and producer David H. DePatie) to create a cartoon character for the film's opening sequence. 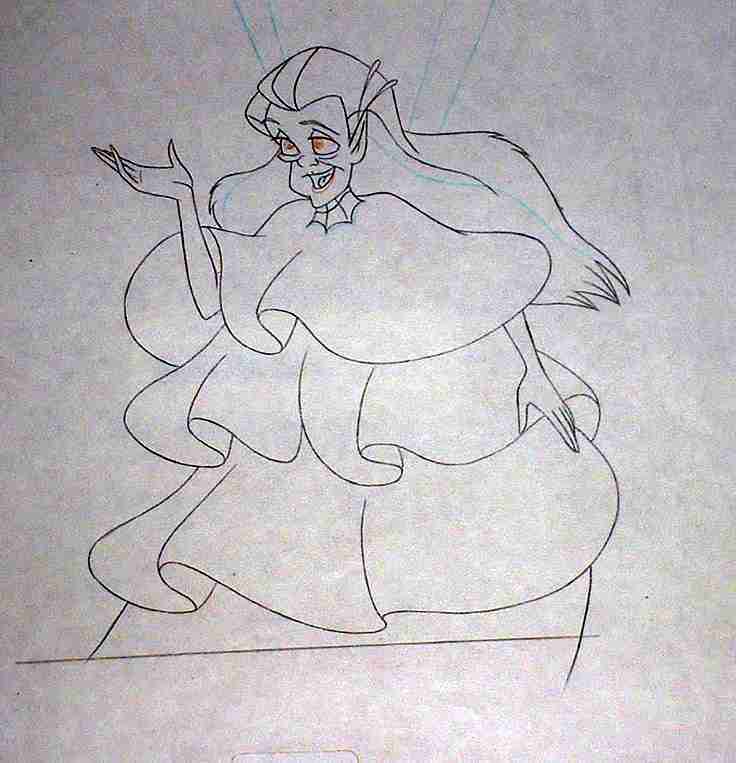 Edwards chose a design drawn by Hawley Pratt, who was Freleng's layout man for nearly a decade. Pratt was assigned to direct the opening sequence for the movie and the Panther literally stole the show, so United Artists decided to give the Panther his own theatrical series. -Used in the Good Times Video production of "Pinocchio"
The Smurfs was a wildly popular 1980s cartoon. So popular, in fact, that it spurted a spinoff called the Snorks! It all started with a cartoon strip by Peyo in Belgium. The director of NBC, Fred Silverman, saw how much his daughter liked a smurf doll featured in a store window and The Smurfs cartoon series was born. Smurfs are three apples high; their village was rarely discovered by anyone besides Gargamel and Azreal, and if it was found, the Smurfs used "smurf magic" to erase the memory of the village. "Their mission: To fight injustice, right that which is wrong and serve all mankind." Several years after Filmation's brief vision of a group of Superheroes featured together, Hanna-Barbera Studios acquired the rights to the DC Comics characters and teamed up Superman, Batman, Robin, Aquaman and Wonder Woman with Junior Superfriends Wendy, Marvin and Wonder Dog. Subsequent episodes added other superheros including Flash, Hawkman, Green Lantern, Apache Chief, Black Bolt & The Wonder Twins. -Image Size of Drawings 01 & 02: 10.5 x 12.5"
-Image Size of drawings A-C: 10.5 x 12.5"
In 1935, author and illustrator Munro Leaf wrote THE STORY OF FERDINAND THE BULL, an entertaining short story for children. Ferdinand was a mellow bull, content to smell flowers - not the type to get into fights with matadors. But one day when he is stung by a bee, the townspeople believe he is ferocious and take him to the bullfight ring. Ferdinand's popularity led Walt Disney to create an Academy Award winning animated short film. Good-natured but not too bright, this popular character made his first appearance, as a member of the audience in "Mickey's Revue" (1932). What distinguished the character was not so much his appearance but his raucous laugh. That laugh, supplied by former circus clown Pinto Colvig, made such an impression on Walt Disney that the character was soon featured in other cartoons. In the newspapers, Goofy was first given the name Dippy Dawg. In 1938 he became "Dippy the Goof" and by 1939 the final change was made to Goofy with the release of the cartoon "Goofy and Wilbur". Based on Clement C. Moore's classic poem, a 1933 Silly Symphony short tackling Santa's task of delivering the gifts he made in Santa's workshop to the children of the world. A Silly Symphony sequel to the oscar winning THREE LITTLE PIGS animation short, The PRACTICAL PIG builds a lie-detector while his brothers Fifer and Fiddler go for a swim. As usual, The Big Bad Wolf is not far behind. -Image Size of both drawings: 10.5 x 12.5"
During World War I, a Canadian lieutenant named Harry Colebourne was on his way to Europe when he bought an orphaned black bear cub. He named her Winnipeg (Winnie for short), after his hometown. When Colebourne was transferred, he gave Winnie to the London Zoo. It was here that Christopher Robin Milne, son of author A.A. Milne, met and fell in love with the bear. He renamed his teddy bear (a male originally named Edward Bear) Winnie-the-Pooh. (The "Pooh" part was the name of a real swan). Inspired by his son's beloved stuffed animals, A.A. Milne wrote "Winnie-the-Pooh", which was published in 1926. 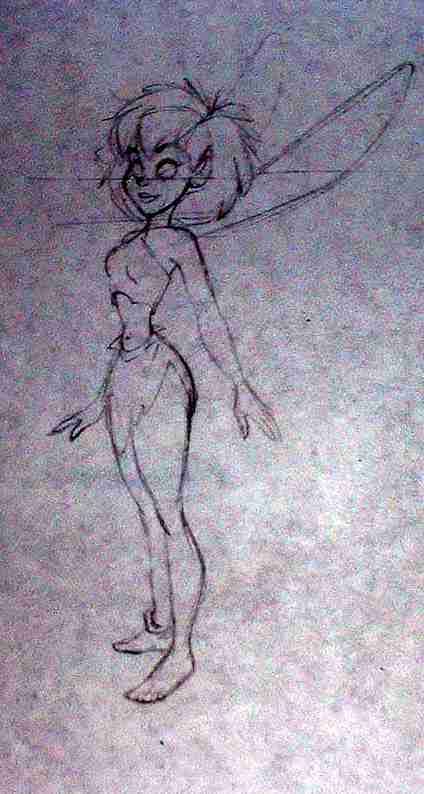 Milne, always a fan of Disney's work, had commented that he would be honored if Disney ever wanted to animate his Pooh stories, so in 1961 his daughter sold the film rights to Disney who made several animated short films. -Image Size of all drawings: 10.5 x 12.5"
Created by Walter Lantz, WOODY WOODPECKER was a brash, high-strung woodpecker whose trademark was his staccato laugh, "ha-ha-ha-HA-ha". The character first appeared in the 1940 Andy Panda short, "Knock Knock", voiced by Mel Blanc. The Woody Woodpecker Show originally ran on the ABC-TV network from October, 1957 through September, 1958. Sponsored by Kellogg's, each episode featured three theatrical cartoons, with new animated Woody wraparounds and live action hosting chores handled by Lantz himself. After the initial year on ABC, The Woody Woodpecker Show was syndicated until 1966. 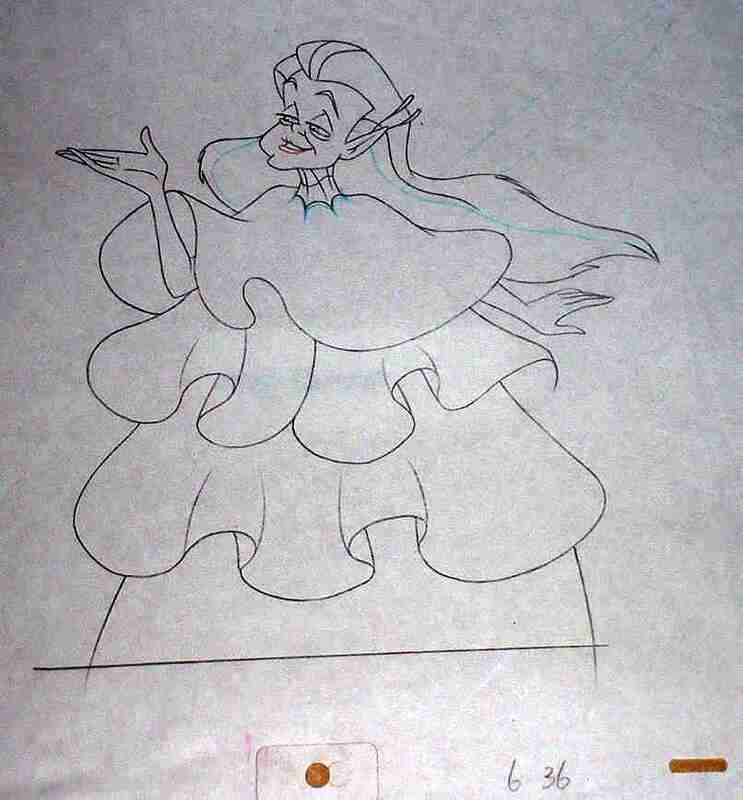 -Image Size of drawings 01-10: 10.5 x 12.5"
-Image Size: 10.5 x 12.5"